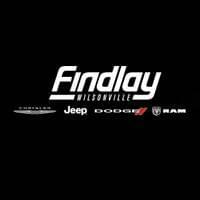 At Findlay Chrysler Jeep Dodge Ram, we stock some of the finest trucks on the market—after all, that’s the segment that Dodge and Ram built their names on. So you can expect our selection of used trucks to be excellent models. But what you may not know is just how affordable they can be—in fact, we stock a number of used trucks under $35,000 for you to choose from. Combine those excellent price points with our flexible financing options, and a fine truck of your very own is closer in reach than you might think. Our inventory of used trucks under $35,000 isn’t composed of a bunch of budget models—in fact, it contains such renowned names as the Ram 1500, and ranges from sturdy 2014 iterations to like-new 2017 models. Our stock is always rotating too, so be sure to check in often and make use of our used vehicle specials to get a great deal on a fine used truck. At Findlay Chrysler Jeep Dodge Ram, used trucks under $35,000 are well within reach. So contact us online, and check out our inventory in person today! Family Owned and Operated since 1961, come check out the Indoor Facility and experience the best buying experience in the NW! 2016 Ram 1500 SLT Clean CARFAX. CARFAX One-Owner. Reviews: * Massive interior room; low step-in height; available fuel-efficient diesel engine. Source: Edmunds 15/21 City/Highway MPG FAST and EASY Buying Process, Straight Forward Pricing, Friendly & Knowledgeable Team, STRESS FREE FINANCING Bad Credit Wont Stop You Here, and Committed to Building a Stronger Community! Experience the Findlay Difference today. Family Owned and Operated since 1961, come check out the Indoor Facility and experience the best buying experience in the NW! 2014 Ram 2500 Laramie CARFAX One-Owner. Bluetooth, Backup Camera, Heat Package, Leather Seats, Climate Package, Sunroof/Moonroof, Sound Package, Navigation System, Aluminum Wheels, Remote Start, Automatic Headlights, Heated/Cooled Seats, Push Button Start, 10 Speakers, 115V Auxiliary Power Outlet, 3.73 Rear Axle Ratio, Auto High Beam Headlamp Control, Automatic temperature control, Convenience Group, Fully automatic headlights, Memory seat, Power Sunroof, Protection Group, Quick Order Package 22H Laramie, Rain Sensitive Windshield Wipers, Ventilated Front Seats. Reviews: * If you're a longtime devotee of Ram HD trucks and it's time to trade in your old outfit, the improvements made to the 2014 Ram 2500/3500 should rekindle your loyalty to the brand. Conversely, Ford and Chevy owners who long for a more upscale interior will find a lot to like in the Ram HD. Source: KBB.com * High-quality cabin; massive torque with diesel/automatic powertrain; roomy rear seat in the Mega Cab; highly off-road-capable Power Wagon version; quiet highway ride. Source: Edmunds * If you want a heavy-duty truck engineered to give you the power you need and deliver it in a gorgeous package, look no further than the Ram 2500. With its signature rounded curves and huge front grille, this truck is instantly recognizable and respected wherever it goes. The Ram 2500 is sold in 3 sizes: Regular Cab, Mega Cab and Crew Cab, and has a wide range of trims to choose from. The Regular Cab offers 3 options: the base level Tradesman, the Big Horn and the SLT. The Mega Cab has 4 trims, with the SLT being the lowest. Finally the Crew Cab offers a stunning seven trims to pick from with the Tradesman being the lowest. All Ram 2500 trucks come standard with an impressive 5.7-liter HEMI V8 Engine with 410 HP and 429 lb-ft of Torque, and an Automatic 6-speed transmission. It is also available in two-wheel drive and four-wheel drive versions on most models except the following Crew Cab Trims: Tradesman Power Wagon, Outdoorsman, Power Wagon, and Laramie Power Wagon where 4WD is the only option. The interior of the 2500 is a beautiful combination of strength and refinement. The environment has a polished feel even on the base trims. The regular cab can seat 3 on a bench, and the 4-door versions can either seat 5 when there are two-bucket seats up front, or 6 people on 2 rows. The base model offers an AM FM stereo with MP3 for your music, as well as an Auxiliary Input and USB Port. The Mega and Crew cabs add a Uconnect communication system, media hub, and all models include the Vehicle Information Center. Ram has an impressive list of optional features that are available based on what model you want such as: a 6.7-liter V6 Turbo Diesel Engine, the RamBox Cargo Management System, a Navigation System, Auto-dimming Rear-view Mirror, Upgraded Sound Systems, and Premium Cloth or Leather Seating. For safety, all models come standard with Anti-lock brakes, Stability Control, and Six Airbags. Come drive the Ram 2500 today! Source: The Manufacturer Summary FAST and EASY Buying Process, Straight Forward Pricing, Friendly & Knowledgeable Team, STRESS FREE FINANCING Bad Credit Wont Stop You Here, and Committed to Building a Stronger Community! Experience the Findlay Difference today. Family Owned and Operated since 1961, come check out the Indoor Facility and experience the best buying experience in the NW! 2016 Ram 3500 Limited Mega Cab Clean CARFAX. Bluetooth, Backup Camera, Heat Package, Leather Seats, Climate Package, Sunroof/Moonroof, Sound Package, Navigation System, Aluminum Wheels, Remote Start, Automatic Headlights, Heated/Cooled Seats, Push Button Start, 115V Auxiliary Power Outlet, ABS brakes, Auto High Beam Headlamp Control, Body Color Fender Flares, Bucket Seats, Chrome Belt Moldings, Chrome RAM Badge, Compass, Electronic Stability Control, Emergency communication system, Front dual zone A/C, Front Wheel Spats, Heated door mirrors, Heated Front Seats, Heated front seats, Heated rear seats, Heated Second Row Seats, Heated Steering Wheel, High Back Seats, Illuminated entry, Instrument Cluster, Keyless Enter-N-Go, Laramie Limited Grille, Laramie Limited Leather Bucket Seats, Leather Wrapped Grab Handle, LED Bed Lighting, Limited Chrome Bodyside Molding, Limited Decor Group, Limited Tailgate Applique 4x4, Low tire pressure warning, Luxury Door Trim Panel, Luxury Front & Rear Floor Mats, Navigation System, Painted Front Bumper, Painted Rear Bumper, Power 10-Way Memory Driver & 6-Way Passenger Seats, Power Lumbar Adjust, Quick Order Package 28M Limited, Rain Sensitive Windshield Wipers, RAM 3500 Badge, RamBox Cargo Management System, Rear 60/40 Split Folding Seat, Remote keyless entry, Remote Proximity Keyless Entry, Steering Wheel Mounted Audio Controls, Traction control, Vendor Painted Cargo Box Tracking, Ventilated Front Seats, Wheel to Wheel Side Steps, Wheels: 20" x 8.0" 6-Spoke Aluminum w/Inserts, Wood/Leather Wrapped Steering Wheel. Reviews: * Massive interior room; low step-in height; available fuel-efficient diesel engine. Source: Edmunds FAST and EASY Buying Process, Straight Forward Pricing, Friendly & Knowledgeable Team, STRESS FREE FINANCING Bad Credit Wont Stop You Here, and Committed to Building a Stronger Community! Experience the Findlay Difference today. Family Owned and Operated since 1961, come check out the Indoor Facility and experience the best buying experience in the NW! 2016 Ram 2500 Tradesman Clean CARFAX. CARFAX One-Owner. Bluetooth, Backup Camera, Chrome Wheels, Automatic Headlights, 1-Yr SiriusXM Radio Service, 3.73 Rear Axle Ratio, 40/20/40 Split Bench Seat, Air Conditioning, Bright Front Bumper, Bright Grille, Bright Rear Bumper, Carpet Floor Covering, Chrome Appearance Group, Cloth 40/20/40 Bench Seat, For More Info, Call 800-643-2112, Front & Rear Floor Mats, Front Armrest w/Cupholders, Fully automatic headlights, Heated door mirrors, No Satellite Coverage w/AK/HI, ParkSense Rear Park Assist System, Popular Equipment Group, Quick Order Package 22A Tradesman, Rear Folding Seat, Remote Keyless Entry, SiriusXM Satellite Radio, Storage Tray, Wheels: 18" x 8.0" Steel Chrome Clad. Reviews: * Monumental torque with diesel and automatic powertrain; high-quality cabin; Mega Cab's roomy rear seat; highly off-road-capable Power Wagon version; quiet, comfortable ride. Source: Edmunds * Massive interior room; low step-in height; available fuel-efficient diesel engine. Source: Edmunds FAST and EASY Buying Process, Straight Forward Pricing, Friendly & Knowledgeable Team, STRESS FREE FINANCING Bad Credit Wont Stop You Here, and Committed to Building a Stronger Community! Experience the Findlay Difference today. Family Owned and Operated since 1961, come check out the Indoor Facility and experience the best buying experience in the NW! 2012 Ram 3500 SLT Clean CARFAX. Bluetooth, Chrome Wheels, Automatic Headlights, 3.73 Rear Axle Ratio, Protection Group, Quick Order Package 2FG SLT. FAST and EASY Buying Process, Straight Forward Pricing, Friendly & Knowledgeable Team, STRESS FREE FINANCING Bad Credit Wont Stop You Here, and Committed to Building a Stronger Community! Experience the Findlay Difference today. Family Owned and Operated since 1961, come check out the Indoor Facility and experience the best buying experience in the NW! 2014 Ram 2500 Laramie Mega Cab Clean CARFAX. CARFAX One-Owner. Bluetooth, Backup Camera, Heat Package, Leather Seats, Climate Package, Sunroof/Moonroof, Sound Package, Navigation System, Aluminum Wheels, Remote Start, Automatic Headlights, Heated/Cooled Seats, Push Button Start. Reviews: * If you're a longtime devotee of Ram HD trucks and it's time to trade in your old outfit, the improvements made to the 2014 Ram 2500/3500 should rekindle your loyalty to the brand. Conversely, Ford and Chevy owners who long for a more upscale interior will find a lot to like in the Ram HD. Source: KBB.com * High-quality cabin; massive torque with diesel/automatic powertrain; roomy rear seat in the Mega Cab; highly off-road-capable Power Wagon version; quiet highway ride. Source: Edmunds * If you want a heavy-duty truck engineered to give you the power you need and deliver it in a gorgeous package, look no further than the Ram 2500. With its signature rounded curves and huge front grille, this truck is instantly recognizable and respected wherever it goes. The Ram 2500 is sold in 3 sizes: Regular Cab, Mega Cab and Crew Cab, and has a wide range of trims to choose from. The Regular Cab offers 3 options: the base level Tradesman, the Big Horn and the SLT. The Mega Cab has 4 trims, with the SLT being the lowest. Finally the Crew Cab offers a stunning seven trims to pick from with the Tradesman being the lowest. All Ram 2500 trucks come standard with an impressive 5.7-liter HEMI V8 Engine with 410 HP and 429 lb-ft of Torque, and an Automatic 6-speed transmission. It is also available in two-wheel drive and four-wheel drive versions on most models except the following Crew Cab Trims: Tradesman Power Wagon, Outdoorsman, Power Wagon, and Laramie Power Wagon where 4WD is the only option. The interior of the 2500 is a beautiful combination of strength and refinement. The environment has a polished feel even on the base trims. The regular cab can seat 3 on a bench, and the 4-door versions can either seat 5 when there are two-bucket seats up front, or 6 people on 2 rows. The base model offers an AM FM stereo with MP3 for your music, as well as an Auxiliary Input and USB Port. The Mega and Crew cabs add a Uconnect communication system, media hub, and all models include the Vehicle Information Center. Ram has an impressive list of optional features that are available based on what model you want such as: a 6.7-liter V6 Turbo Diesel Engine, the RamBox Cargo Management System, a Navigation System, Auto-dimming Rear-view Mirror, Upgraded Sound Systems, and Premium Cloth or Leather Seating. For safety, all models come standard with Anti-lock brakes, Stability Control, and Six Airbags. Come drive the Ram 2500 today! Source: The Manufacturer Summary FAST and EASY Buying Process, Straight Forward Pricing, Friendly & Knowledgeable Team, STRESS FREE FINANCING Bad Credit Wont Stop You Here, and Committed to Building a Stronger Community! Experience the Findlay Difference today. Family Owned and Operated since 1961, come check out the Indoor Facility and experience the best buying experience in the NW! 2016 Ram 3500 Laramie Longhorn CARFAX One-Owner. Bluetooth, Backup Camera, Leather Seats, Climate Package, Sunroof/Moonroof, Sound Package, Aluminum Wheels, Heated/Cooled Seats. Reviews: * Massive interior room; low step-in height; available fuel-efficient diesel engine. Source: Edmunds FAST and EASY Buying Process, Straight Forward Pricing, Friendly & Knowledgeable Team, STRESS FREE FINANCING Bad Credit Wont Stop You Here, and Committed to Building a Stronger Community! Experience the Findlay Difference today. Family Owned and Operated since 1961, come check out the Indoor Facility and experience the best buying experience in the NW! 2012 Toyota Tacoma V6 4WD. Awards: * ALG Best Residual Value * 2012 KBB.com Best Resale Value Awards Reviews: * Engines offer a good balance of power and fuel efficiency; wide variety of body styles and trims; strong safety scores; impressive build quality; well-appointed interior. Source: Edmunds * If you're looking for a proven pickup that is as capable as it is stylish, the 2012 Toyota Tacoma pickup deserves your full attention. Nearly as capable as a full-size pickup, but without the extra bulk or poor fuel economy, the Tacoma offers a wide selection ranging from everyday work truck to rugged off-road adventurer. Source: KBB.com FAST and EASY Buying Process, Straight Forward Pricing, Friendly & Knowledgeable Team, STRESS FREE FINANCING Bad Credit Wont Stop You Here, and Committed to Building a Stronger Community! Experience the Findlay Difference today.